I suppose everyone is very proud of their home town I know I certainly am. Chattanooga, Tennessee was at one time a city occupied by heavy industry. We had five (5) major foundries in the downtown and surrounding areas. We still have manufacturing to a great extent but now, industries are definitely aware of environmental issues and how local environment affects everyday life and health. Over the past twenty years there has been a “massive” cleanup effort and building programs that provide residents and visitors a truly exciting and healthful place to live and experience. So much so that Chattanooga was named “Best Town Ever” by “Outside” magazine, and one of the “Top 45 Destinations to Travel” by the New York Times. It’s easy to see why. 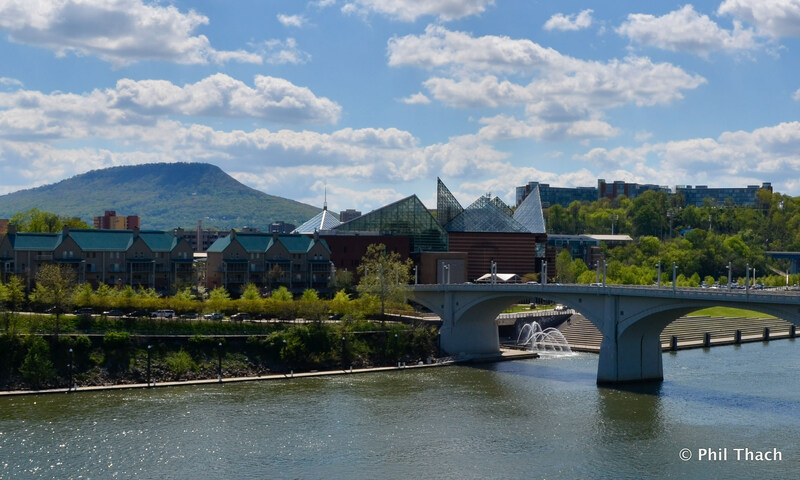 Chattanooga is less than a two-hour drive from Atlanta, Nashville, Knoxville, Huntsville and Birmingham and is located in the valley along the Tennessee River and surrounded by picturesque mountains. The map below will show location relative to other destinations. I would like to give you a visual tour of our city and then indicate one special event we host on an annual basis. The city is located on the Tennessee River—one of the major rivers in the United States. Chattanooga is the fourth-largest city in Tennessee, with a population of 167,674 as of the 2010 census, and an estimated population of 171,279 in 2012. Located in the southeastern United States in the Eastern portion of Tennessee, on Chickamauga Lake and Nickajack Lake, which are both part of the Tennessee River. As mentioned earlier, Chattanooga lies approximately 120 miles (190 km) to the northwest of Atlanta, Georgia, 120 miles (190 km) to the southwest of Knoxville, Tennessee, about 135 miles (217 km) to the southeast of Nashville, Tennessee, about 120 miles (190 km) to the northeast of Huntsville, Alabama, and about 148 miles (238 km) to the northeast of Birmingham, Alabama. Chattanooga abuts the Georgia border and is where three major interstate highways meet: I-24, I-75, and I-59. The first inhabitants of the Chattanooga area were American Indians with sites dating back to the Upper Paleolithic period. This is not uncommon at all in the Southeast. It is known that Chattanooga exhibited continuous occupation through the Archaic, Woodland, Mississippian/Muskogean period from 900–1650 AD, and the Cherokee period from 1776–1980. The first part of “Chattanooga” derives from the Muskogean word cvto /cható/ – ‘rock’. The latter may be derived from a regional suffix -nunga meaning dwelling or dwelling place. 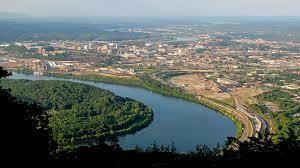 Chattanooga is a “river city” as shown below. This area is called Moccasin Bend with Chattanooga lying just to the north of the “bend”. 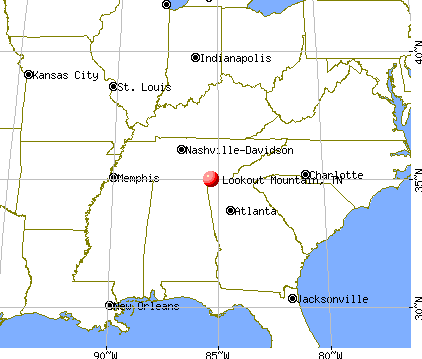 The most prominent geological feature in the Chattanooga area is Lookout Mountain. Lookout Mountain was used by Union and Confederate soldiers during the Civil War as observation posts. You can actually see seven (7) states from Point Park locations on the top of the mountain. This slide shows one of the three major bridges crossing the Tennessee River, the Aquarium and the profile of Lookout Mountain. Let us now take a quick tour of this great American City. 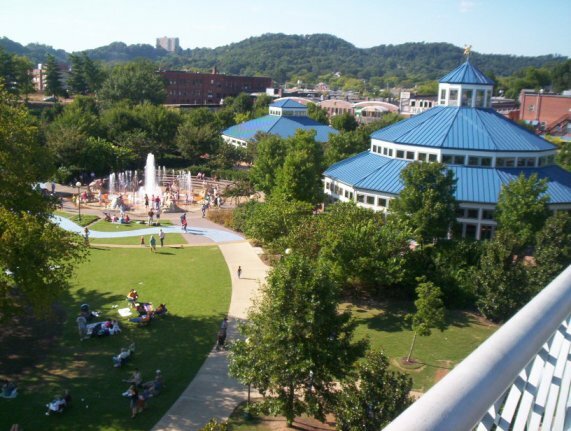 One of the favorite places to gather in Chattanooga is Coolidge Park. Coolidge Park, located on the city’s North Shore and one place where you can overlook the beautiful Tennessee River, play in an interactive water fountain, stroll across the world’s largest pedestrian bridge-the Walnut Street Bridge, test your skills at rock climbing, picnic with your family in plenty of open green spaces, admire a military memorial and even ride a tiger on the 100-year old restored antique carousel. It is adjacent to local entertainment, art galleries, shops, and restaurants and serves as a venue for numerous concerts, festivals and special events. It is also part of the Tennessee Riverwalk, a 15-mile long public greenway that runs along the Tennessee River – from the Southern Belle Riverboat to Chickamauga Dam. In 2006 The Peace Grove was added to Coolidge Park. It is a circular landscape of trees planted to represent each of Chattanooga’s Sister Cities and celebrate the city’s global friendships around the world. The park is named after Charles H. Coolidge. Coolidge joined the Army from his birth city of Signal Mountain, Tennessee in June 1942, and by October 24, 1944, was serving as a technical sergeant in Company M, 141st Infantry Regiment, 36th Infantry Division. During an enemy attack on that day and the following three days, east of Belmont-sur-Buttant in France, Coolidge assumed command of his group and demonstrated conspicuous leadership. For his actions during the battle, he was awarded the Medal of Honor in July 1945. The Riverwalk at night is shown by the following slide. This is also the location for a June event known throughout the southeast as the Riverbend Festival. Over a fourteen (14) day period, bands gather to play for the visitors and the “locals”. While you are in Chattanooga, you MUST visit our downtown aquarium. On the river, it offers a marvelous look at fresh-water and salt-water life common to the Tennessee Valley and the Gulf of Mexico. The Tennessee Aquarium is a non-profit public aquarium located conveniently right downtown. When it opened, the River Journey building was the largest freshwater aquarium in the world. The River Journey and Ocean Journey buildings are home to more than 12,000 animals including fish, reptiles, amphibians, invertebrates, birds, penguins, butterflies, and more. You can see the structure of the aquarium in the background. These spires break the landscape and provide a real contrast to the brick and mortar normally seen in downtown areas. Do you like adventure? I mean real dare-devil adventure? OK, Chattanooga just might be the place to start. From Lookout Mountain, you can experience the thrill of a lifetime by jumping off the mountain. Nuts—right? Since we are on Lookout Mountain, we might as well visit Rock City. This is nature at her finest. 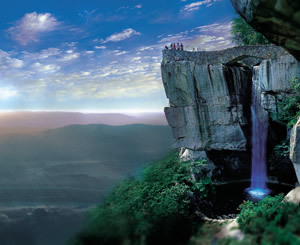 Hundreds of people visit Rock City each year and are thrilled by the experience. 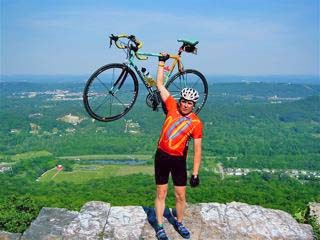 Located atop Lookout Mountain, just 6 miles from downtown Chattanooga, Rock City is a true marvel of nature featuring massive ancient rock formations, gardens with over 400 native plant species and breathtaking “See 7 States” panoramic views. Enjoy Cafe 7, Rock City’s outdoor dining restaurant with southern cuisine and a view like no other! Take an unforgettable journey along the Enchanted Trail where each step reveals natural beauty and wonders along the woodland path. Experience the magic of Fairyland Caverns and Mother Goose Village, visit one of our regional gift shops and dine at the Big Rock Grill. Rock City is splendid year-round and has a full lineup events and festivals. 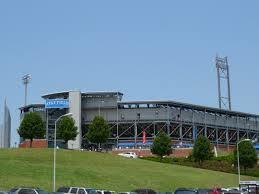 If you like baseball, the Chattanooga Lookouts is the place to see great minor-league play. The “Looks” are one of the oldest minor-league teams in our country. The team is named for, of course, nearby Lookout Mountain. The team, which plays in the Southern League, has been a Double-A affiliate of the Los Angeles Dodgers major-league club since the 2009 season. The Lookouts play in AT&T Field right downtown. Opened in 2000, the stadium seats 6,160 fans. From 1930 through 1999, the Lookouts played at historic Engel Stadium. Joe Engel Stadium is now on the Historic Register. The JPEG below is the new stadium. 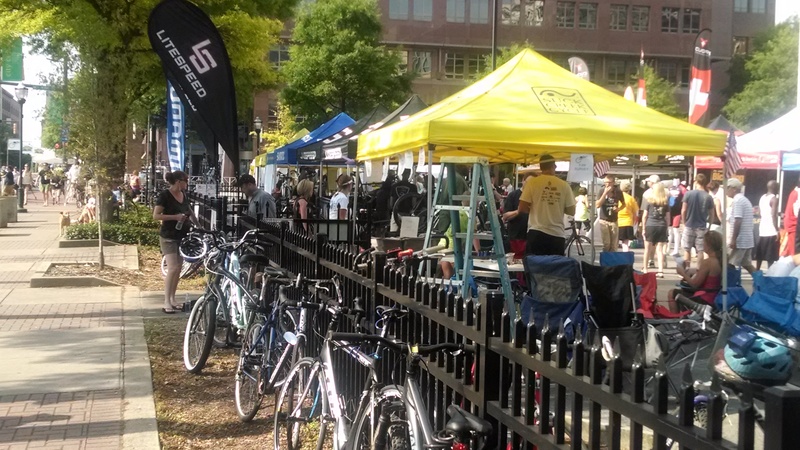 I mentioned earlier that Chattanooga was voted as one of the very best outdoor cities in our country. 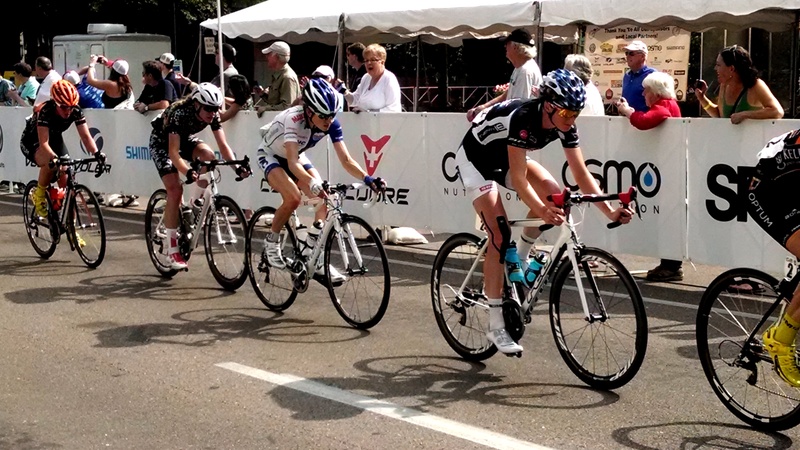 My wife and I just got back from the downtown area where we watched the US Cycling National Championship Race. 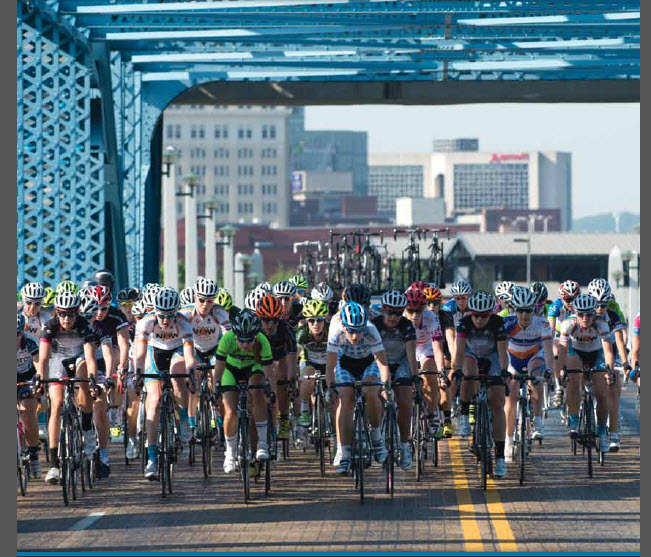 The Pro Road & Time Trial Nationals return to Chattanooga, the Scenic City, for the second year in a row. 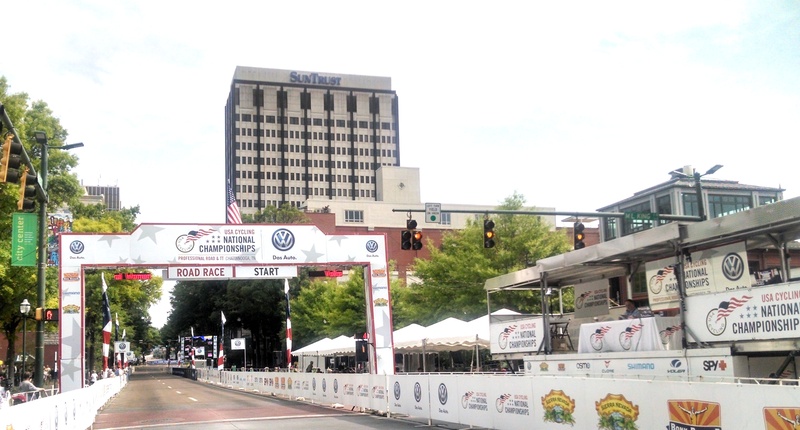 The race course will again take riders through downtown and over Lookout Mountain; a new segment in North Chattanooga dubbed “the wall” will add to the challenge of the best American men and women in their quest for a Stars-and-Stripes jersey. Also new in 2014, both road race winners will receive a one-year loan of a 2015 Volkswagen GTI! (As you might imagine, the race has as a major sponsor VW.) No problem here. VW is one the major employers in the Chattanooga area. This is a marvelous event with both men and women competing. Of course, it’s an all-day event. The starting line for the race is shown above with several cyclists given in the JPEGs below. The JPEG below shows one lucky rider proving he just may be the “king of the hill”. The course is absolutely grueling. Three laps. I do hope you have enjoyed this very brief tour of Chattanooga and certainly hope you will drop by for a visit. If you like doing “stuff”, you need to visit. If you love doing “outdoor stuff” you definitely need to visit. The sooner the better. Portions of the following information were taken from “Dice Tech Salary Survey”, released date: 29 January 2014. We all enjoy knowing where we are relative to base salary, pay increases, bonuses, etc. One of the better on-line employment services is Dice Holding, Inc or Dice.com. Dice.com is a career website basedin Urbandale, Iowa serving individuals in information technology (IT) and engineering professions. Dice is now a public company and is traded on the New York Stock Exchange, (DHX.) Dice.com has approximately 60,000 tech job listings at any one given time. The website claims to have 3 million registered technology professionals and approximately 2 million unique visitors each month. Of those registered users, 75% have a bachelor’s degree or higher and 65% have 10 or more years of experience in their given field. In June 2009, Dice.com advertised 48,000 jobs. It’s a big company. Dice was originally a bulletin board service where recruiters would list open jobs. The company began operations in the San Francisco Bay Area in 1990 but moved their headquarters to Des Moines, Iowa . They then launched the URL http://www.dice.com in 1996. In 1999, Dice opened the career website to direct hiring companies while continuing to serve the recruiting and staffing industry. In February of the same year, Dice was acquired by EarthWeb. I mention all of this to indicate the company has a great understanding of pay scales and compensation packages existing in all regions of the United States for all classification of IT and engineering professionals. 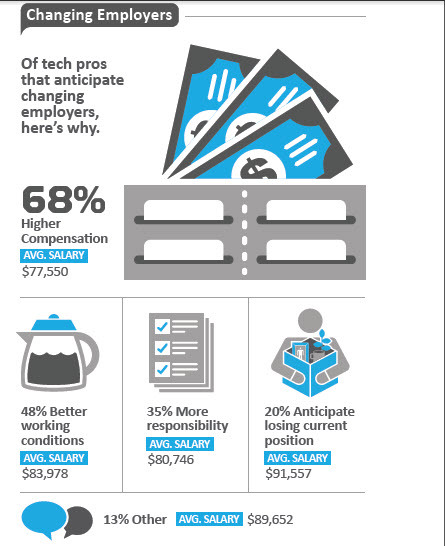 The 2013 “Dice Tech Salary Survey” is a great resource for professionals when gauging positions currently held and looking for positions to better ones’ financial situation. 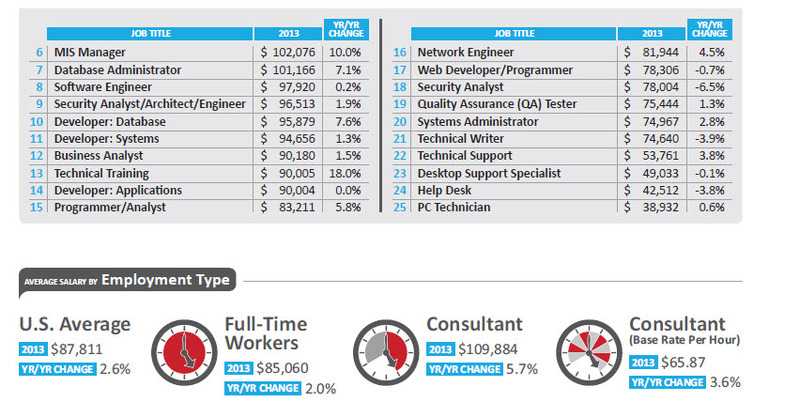 The 2013 Dice Salary Survey was administered online, with 17,236 employed technology professionals responding between October 14, 2013 and November 29, 2013. Respondents were invited to participate in the survey through a notification on the Dice site and registered technology professionals were sent an email invitation. A cookie methodology was used to ensure no duplication of responses between or within the various sample groups and duplicate responses from a single email address were removed. The Dice Salary Survey was adjusted for inflation in 2013: technology professionals earning salaries of $250,000 and above were not automatically eliminated from the survey if they met other criteria. With this in mind, I would like now to indicate several major points made by the survey. 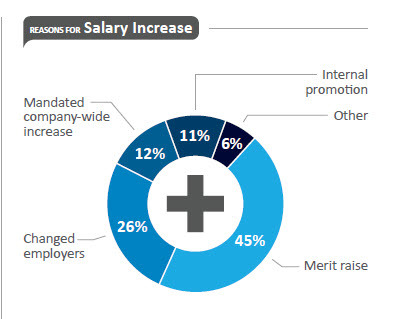 In looking at a ten (10) year trend, we see considerable improvements in salary levels with increase each year. Over the past eight years our economy has been extremely tough with considerable unemployment and yet professionals within technology fields have fared much better than most. Only in 2004 did negative growth in salary levels exist. The average salary in 2013 was $87,811 representing a 2.6% increase over 2012 figures. To me, it is comforting to know that 45% felt their increases were due to performance and not just luck or being related to the boss. Twenty-six percent (26%) of measured improvements came as a result of changing employers while eleven percent (11%) was due to internal promotions. These numbers are very much in line with other STEM professionals. We are know that motivation plays, to some degree, a role in encouraging employees to do their best but the following graphic indicates professionals really do not need significant motivation. The average salary by major metropolitan area is given with the graphic below. Silicon Valley tops the list of highest paid metropolitan areas when it comes to tech talent, with an average annual salary of $108,603 and an average annual bonus of $12,458. The seven percent year-over-year increase in salary was partially driven by those tech professionals earning more than $250,000 being included in this year’s results. Excluding those highly paid professionals, Silicon Valley salaries still increased at a greater rate than the national average or five percent year-over-year. 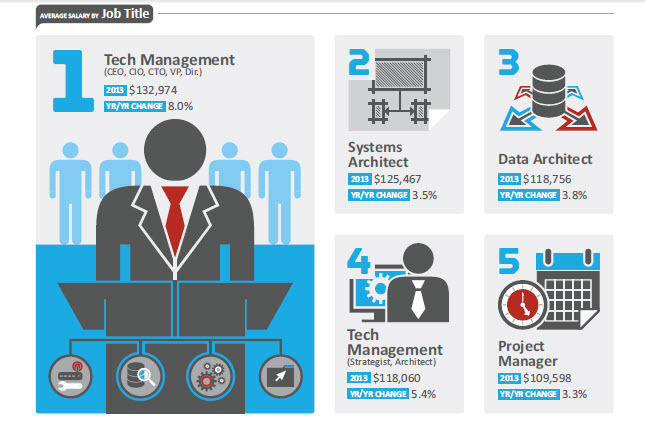 This is a very quick look at the salary ranges for the IT profession. I post this hoping to attract more young men and women into the STEM (science, technology, engineering, and math) professions. IT positions within technology are growing at an ever-increasing rate simply due to need. Supply vs. demand is driving all STEM professions and as you can see, certainly the IT profession. Portions of this post are taken from work done by Design News Daily and Mr. Rob Spiegel. There is no doubt the United States is experiencing an “aging” process due to baby boomers coming of age. Boomers are people born during the demographic between the years 1946 and 1964 according to the U.S. Census Bureau. The term “baby boomer” is also used in a cultural context consequently it is impossible to achieve broad consensus of a precise date definition, even within a given territory. As a group, they are the wealthiest, most active, and most physically fit generation up to that time, and amongst the first to grow up genuinely expecting the world to improve with time. They were also the generation that received peak levels of income, therefore they could reap the benefits of abundant levels of food, apparel, retirement programs, and sometimes even “midlife crisis” products. The increased consumerism for this generation has been regularly criticized as excessive. One feature of the boomers was that they tended to think of themselves as a special generation, very different from those that had come before. In the 1960s, as the relatively large numbers of young people became teenagers and young adults, they, and those around them, created a very specific rhetoric around their cohort, and the change they were bringing about. This rhetoric had an important impact in the self perceptions of the boomers, as well as their tendency to define the world in terms of generations, which was a relatively new phenomenon. CHALLENGES: Connecting medical devices saves money, streamlines care and saves lives. • Connecting medical devices saves money, streamlines care and saves lives. 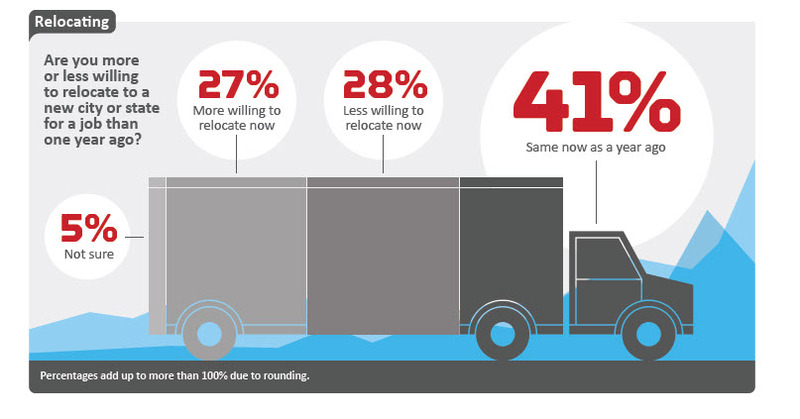 • 76% of the nurses surveyed say current nursing shortages increases their patient load considerably. • 74% say it definitely decreases time spent with individual patients. • 64% say it decreases quality time spent with patient care. • 40% of those in charge of IT within a medical facility indicate integration of medical devices with internet capability will move the profession to the next level and greatly improve patient care. • 90% felt this integration is critical. • Over $20 billion has been allocated by the Federal Government to aid development of robust IT infrastructure for healthcare. • By networking patient care devices, a fifty (50) bed facility can save $ 323,446.00 annually or $886.00 per day. • 58% of hospitals are moving quickly to have data-capture devices, i.e. wireless devices available and in use over the next one to five years. Let’s now look at the benefits of having the use of such devices in a medical facility. The report, “Home Health Technology Report – 2014,” reveals that worldwide revenue for home healthcare devices and services will rise to $12.6 billion in 2018, up from $5.7 billion in 2013. IHS notes that the home healthcare market consists of six distinct segments: 1.) independent living services, 2.) consumer medical devices, 3.) tele-health, 4.) personal emergency response systems (PERS), 5,) wearable technologies, and 6.) health gaming (games designed to improve health). The report noted that home healthcare products will experience technology convergence that will make the devices richer in features. These products will see a blending of Internet connectivity, interoperability with other devices, big data analytics, miniaturization, and wearable technology. This has already occurred to some extent with mobile PERS devices, which are able to act as gateway devices for tele-health, or activity monitors with optical heart-rate sensors. Healthcare IT vendors are developing highly connected and interoperable solutions taking advantage of patient-generated data to support the decision-making process of healthcare professionals, and to create the inevitable bridge between clinical care and home health. The report noted that the quantity of patient-generated data will grow exponentially with the increasing use of home health technologies. Big data in healthcare will determine the success of population health management, which is essential to the business model of accountable-care organizations and their objective of providing value-based care. If we are looking at the future of medical technology, we must include “smart” devices with Internet connections as a part of the overall “mix”. With recent events by Russia in the Crimea and now Ukraine, it is not difficult to see that the “motherland” just may be on the march again. So-called experts have stated that President Putin would like nothing better than to restore Russia to global significance. This fact may be seen by taking a close look at weapon systems now under development by their military. One very significant system is the Russian T-50. Dedication to this project and known specifications for the T-50 give us a glimpse into their ideology and thought processes. Let’s take a look. 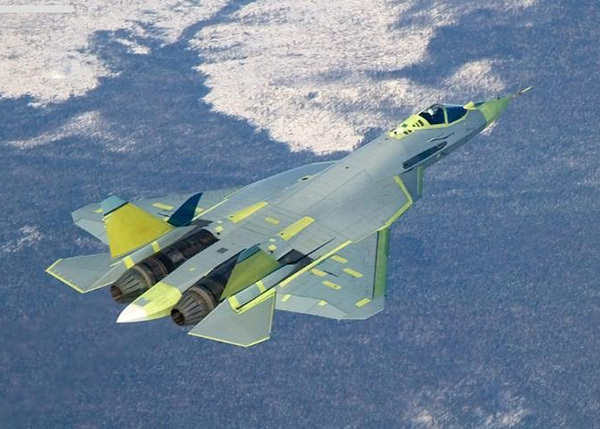 The picture above shows the Sukhoi T-50 prototype; a fifth-generation Russian stealth fighter. The PAK-FA, many experts claim, could outperform the US F-35 Joint Strike Fighter. With its advanced avionics, large fuel capacity, “extreme plus agility”, and ability to avoid detection, the PAK-FA could become the “most lethal and survivable fighter ever built for air combat engagements,” according to Air Power Australia, a respected authority on aeronautics. The T-50 had its first flight in 2010, and Russia will purchase 60 production-standard aircraft after 2016. The Sukhoi PAK FA is a twin-engine jet fighter being developed by Sukhoi for the Russian Air Force. The T-50 is the prototype for PAK FA; one of only a handful of stealth jet programs globally. The PAK FA, a fifth generation jet fighter, is intended to be the successor to the MiG-29 and Su-27 in Russian inventory and serves as the basis for the Sukhoi/HAL FGFA, which is being developed jointly with India. (This should serve to give us pause also.) The T-50 has a blended wing-body specifically designed to accommodate weapons bays between the engines, and incorporates all-moving vertical stabilizers and horizontal elevators. The aircraft has wing leading-edge devices above the jet engine (LEVCONs) designed to control vortices generated by the leading edge for improved behavior at high angle of attack, allowing quick recovery if the thrust vectoring system fails. The two engines incorporate thrust vectoring (TVC) nozzles canted at an angle. Thrust vectoring itself operates in only one plane, but the canting allows the pilot to control both roll and yaw by vectoring each engine nozzle differently. The aircraft inlet incorporates variable intake ramps for increased supersonic engine efficiency and retractable mesh screens to prevent foreign object debris from being ingested into the engines. In the T-50’s design, Sukhoi addressed what it perceived to be the F-22’s limitations, such as the latter’s inability to use thrust vectoring to induce roll and yaw moments and the lack of space for weapons bays between the engines, and complications for stall recovery if thrust vectoring fails. Composites are used extensively on the T-50 and comprise 25% of its weight and almost 70% of the outer surface. Weapons are housed in two tandem missile bays, each estimated to be between 4.6-4.7 m long. The main bays are augmented by bulged, triangular-section bays near the wing root. The T-50’s avionics consists of the Sh121 multifunctional integrated radio electronic system (MIRES) and the 101KS Atoll electro-optical system. The Sh121 consists of the N036 Byelka radar complex and L402 Himalayas electronic countermeasures system. The N036 Byelka radar complex is developed by Tikhomirov NIIP Institute and consists of a main nose-mounted X-band AESA radar with 1526 T/R modules, designated the N036-1-01, and two smaller X-band AESA radars with 358 T/R modules mounted on the sides of the forward fuselage designated N036B-1-01. The suit also has two N036L-1-01 L-band arrays on the wing’s leading edge extensions that are not only used for friend-or-foe identification but also for electronic warfare purposes. Computer processing of the X- and L-band signals enable the systems information to be significantly enhanced. The radar will reduce pilot load and make use of a new data link to share information between aircraft. In 2012, ground tests began on the third aircraft of the Tikhomirov Scientific Research Institute of Instrument Design’s AESA radar.The L402 Himalayas electronic countermeasures (ECM) suite made by the KNIRTI institute uses both its own arrays and that of the N036 Byelka radar. One of its arrays is mounted in the dorsal sting between the two engines. The system is mounted on the aircraft in 2014. The 101KS Atoll electro-optical system includes the 101KS-V infra-red search and track mounted on the starboard side in front of the cockpit. This sensor can detect, identify, and track multiple airborne targets simultaneously. The 101KS-O is mounted on a turret in the dorsal spine and has a laser-based countermeasure against heat-seeking missiles. The complex will also include the 101KS-U ultraviolet warning sensors and 101KS-N navigation and targeting pod. The T-50 prototype performed its first flight 29 January 2010. By 31 August 2010, it had made 17 flights and by mid-November, 40 flights total. The second T-50 was to start flight testing by the end of 2010, but was delayed until March 2011. The Russian Defense Ministry will purchase the first 10 evaluation example aircraft after 2012 and then 60 production standard aircraft after 2016. The first group of fighters will be delivered with current technology engines. 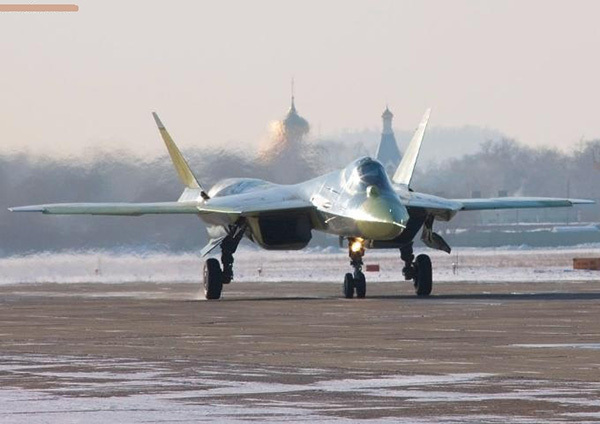 The PAK-FA is expected to have a service life of about 30–35 years. Since its public debut four years ago, Russia’s first stealth fighter has quietly undergone diligent testing, slowly expanding its flight envelope and steadily working out technical kinks. But for all this hard work there have been precious few indications just how many copies of the Sukhoi T-50 Moscow plans to build … and how it means to use them, at least until now. 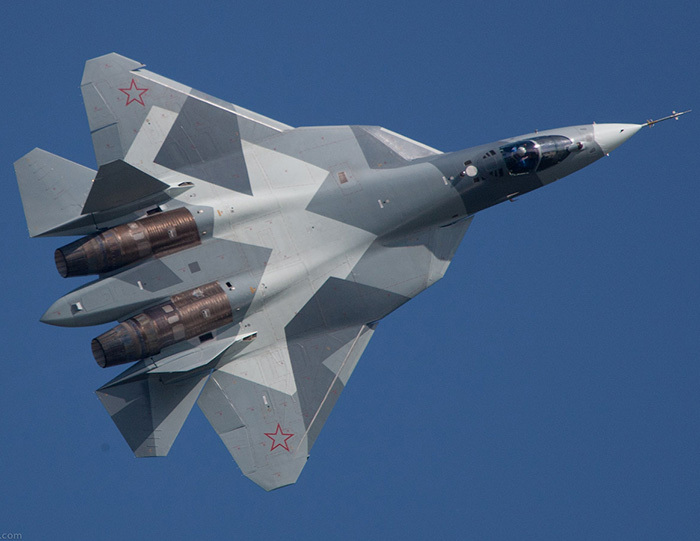 Reporting from Aviation Week’s Bill Sweetman, one of the world’s top aerospace writers, offers tantalizing hints relative to Moscow’s intentions for the big, twin-engine T-50, an answer to America’s F-22 stealth fighter. If Sweetman is correct—and he usually is—the angular warplane with a 50-foot wingspan will be purchased in small numbers and used as an airborne sniper, elusively flying high and fast to take down enemy radars and support powerful, long-range missiles. The T-50’s design and apparent weapons options seem to lend themselves to this niche role, which could exploit critical vulnerabilities in U.S. and allied forces and level the air power playing field for the first time in a generation. I personally think we MUST consider Russia as a formidable contender wanting to position themselves as the number one power on our globe. China also has that desire, and since we have positioned ourselves as being the punching bag and laughing stock relative to dominance, their efforts must provide grave concern for all thinking Americans. We have given up our dominance in manned space and apparently are willing, on a national level, to give up our military presence. Unless we consider the consequences, we are in for a rough ride through the twenty-first century. Just a thought.